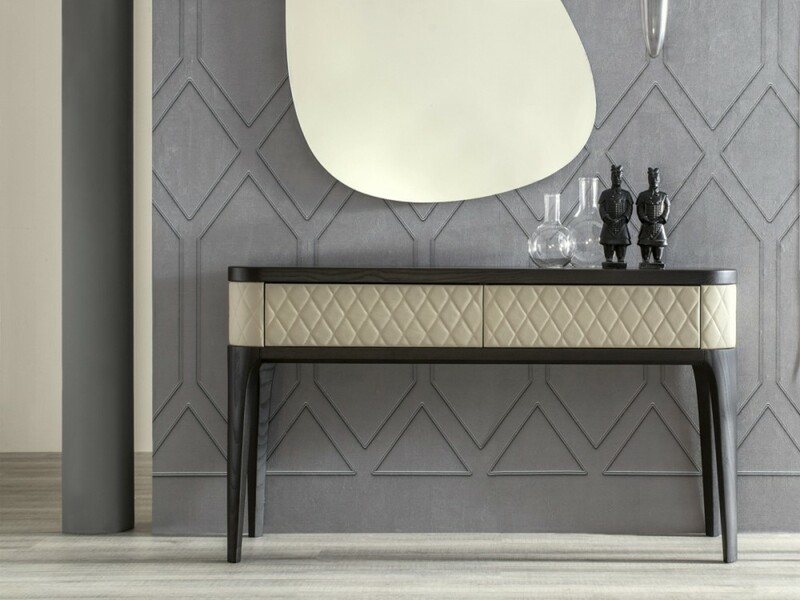 Fixed console table with legs and wooden top, 2 drawers, eco-leather upholstery or rhombus quilted leather. 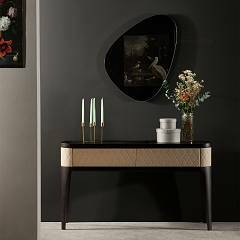 Tiffany a console inspired by a soft and delicate luxury: the ash wood is lightly combined with the leather and eco-leather covering, in all the colors available. Quilted and upholstered as the best upholstery Made in Italy, Tiffany manages to combine two technically different worlds, uniting them in a product with a unique grace.